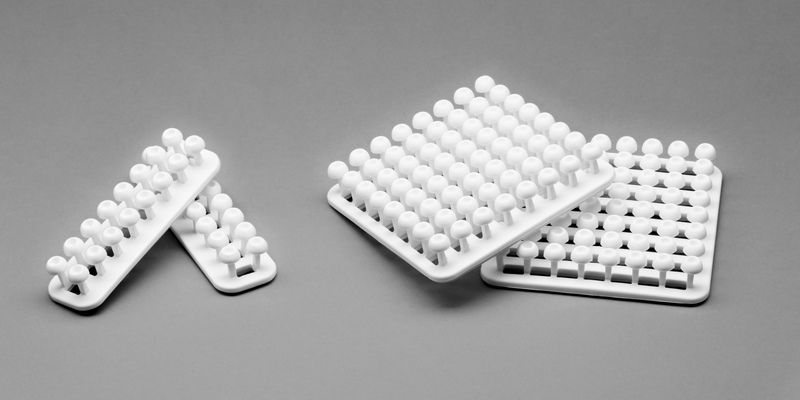 Cablox Mini is a slimmer version of the original Cablox with 8×8 knobs (there are 2×8 of them on the Cablox Mini). 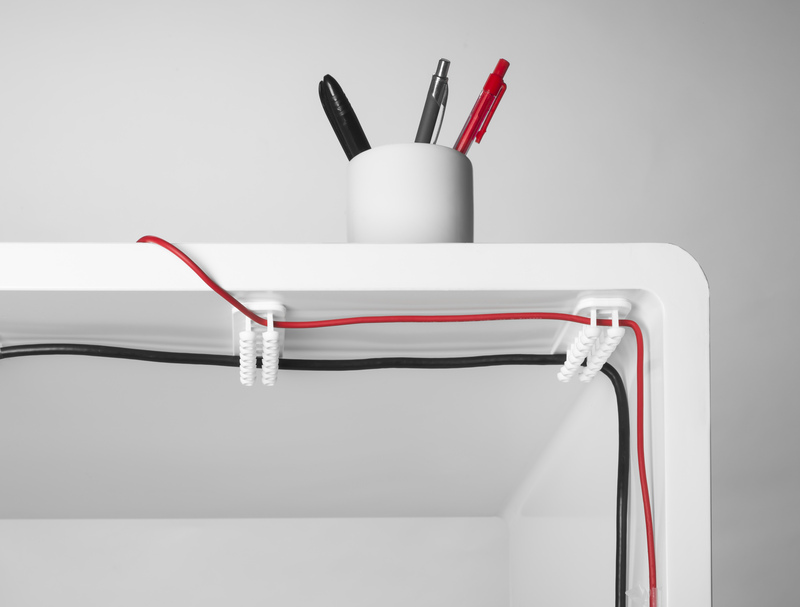 It’s the art of cable management – made smaller. 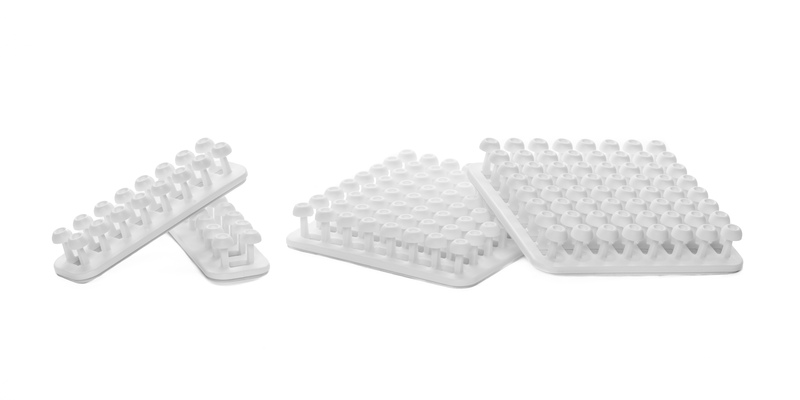 With its adhesive backing, it sticks underneath your desk or behind your home entertainment center. 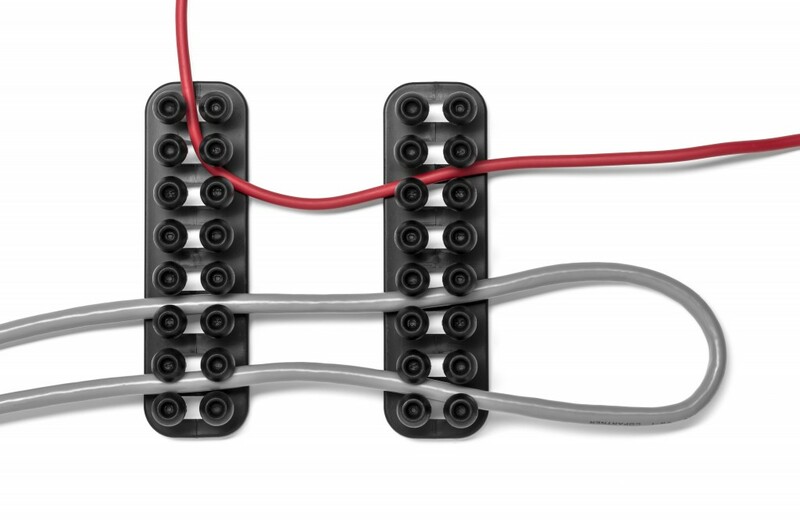 Simply squeeze cords and cables between the rows of plastic knobs and any mess of loose cables becomes tidy and organized. Want to remove the cables? Just pull them out! Simple, yet efficient. 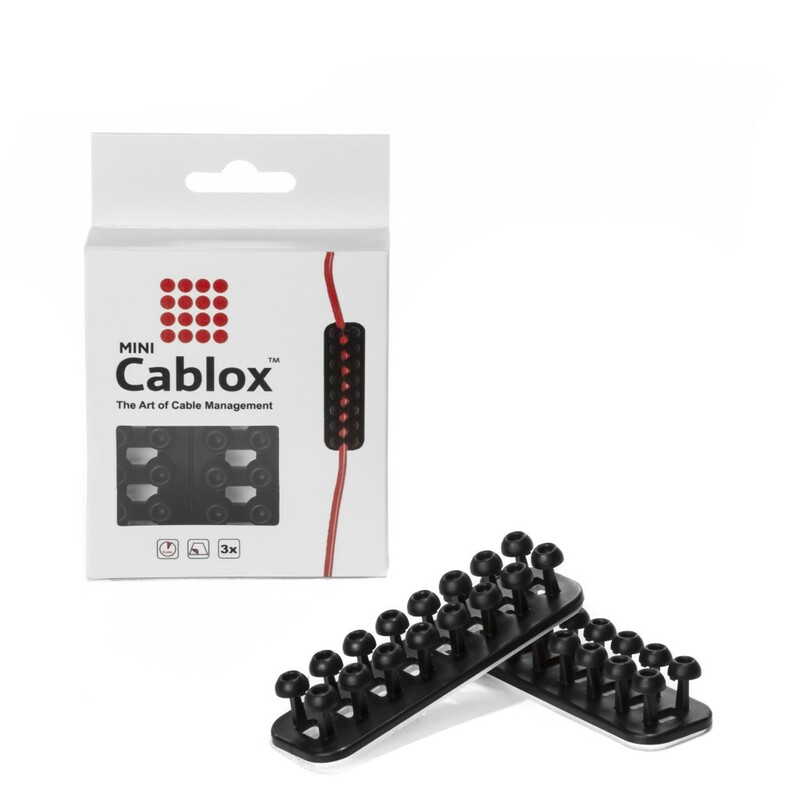 Cablox Mini comes in a handy 3-pack. Check out our site Cablox.com for more info!